Set on the cliffs in Terres Basses, Esprit de la Mer Villa is the ideal choice for large families or groups vacationing in St. Martin. This 5 bedroom, 5.5 bathroom has something for everyone, including all the space and privacy each person needs. From the comfortable living area to the gourmet kitchen to the outdoor gazebo, you’ll find exactly what you’re looking for at this Mediterranean style home that enjoys some of the best ocean views on the island. Esprit de la Mer is set on a dramatic cliff top and enjoys great views of the ocean and surrounding coastline. Mediterranean in style, the villa offers tasteful interiors that feature a mixture of tile, iron and warm woods. There is a spacious living room with formal dining area. Additionally, there is a gourmet kitchen that opens onto a terrace with an oversized infinity pool and panoramic views of the ocean and nearby Baie Rouge beach. The villa has five nicely furnished bedrooms and 5.5 bathrooms. The outdoor area includes a covered terrace and a gazebo complete with a wet bar and relaxed outdoor living and dining areas. This property also has a gym. Note: There is a mix of 110/120v at this villa. Guests are greeted at the airport arrivals exit by the villa greeter with a printed sign containing the guest name. 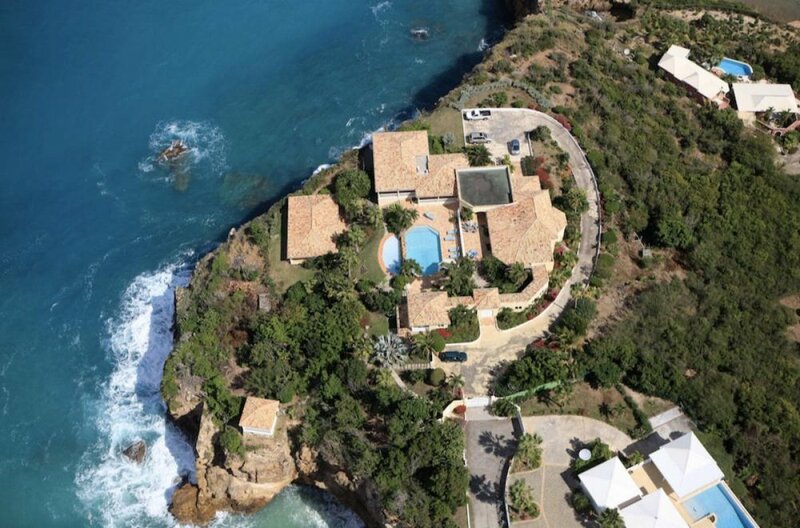 Espirit de la Mer villa had an amazing view and a great location near the beach. We would love to go back! Our service from Sharon was fantastic!